Very informative book written on a childs level about following the signs to learn about the animals around us. 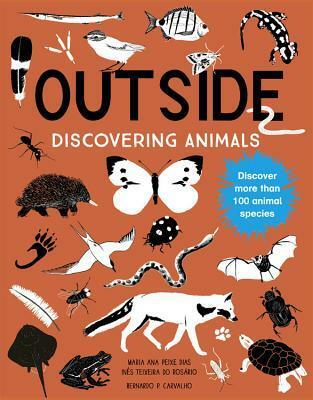 The books focuses on 100 animal species and how to tell if they live around where you are. Now personally I would gibe this book to a child say 8 years and up but I would not send them out into the weeds and woods on their own. Some of these animals will hurt the kids if they happened across them. I do appreciate that the book tells you to just look and do not touch. The book is very interesting. It give tons of facts on the animals featured. Like with Worms for instance. The book explains how they move with no legs. Do they have noses, hearts, lungs? What do they eat? What eats them? Where they live and how they live. All of this and more in 4 short pages. I really like the illustrations. Some are cartoonish others give you a good look at the animal. The whole book is done in black, white, and hot pink. They really catch your eye.